Unique vintage inspired and quirky jewellery hand made for you. 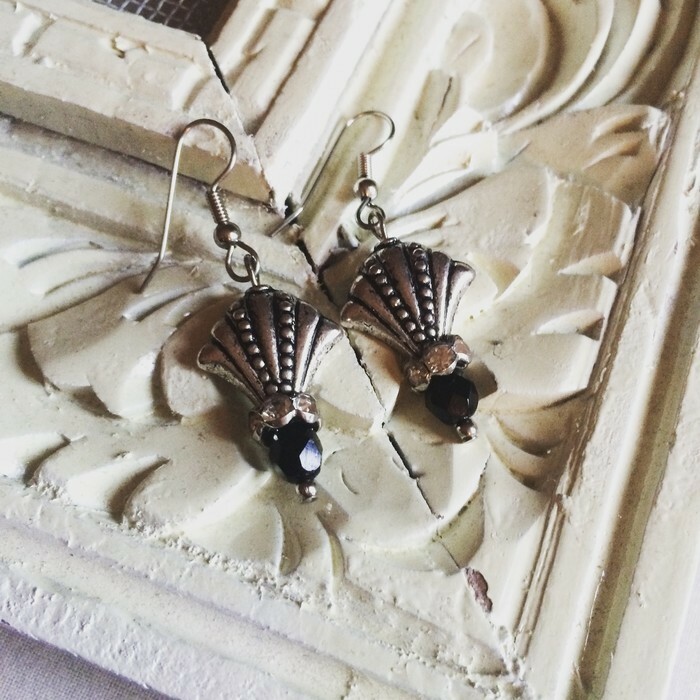 On offer are these delightful art deco inspired earrings. Made up of a fan shaped metal head, a diamanté rondelle and a jet black 6mm czech firepolished crystal. The total length of these beauties measure 27mm. They are finished with a surgical steel pair of fish hooks for sensitive ears. 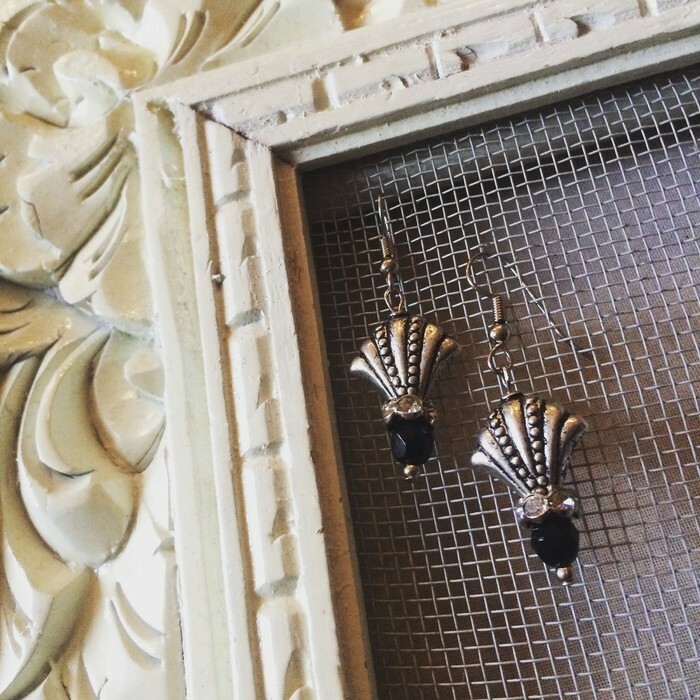 Perfect to add some class and bling to any outfit! Be sure to browse through Dishevelled Rose for more beautiful items.